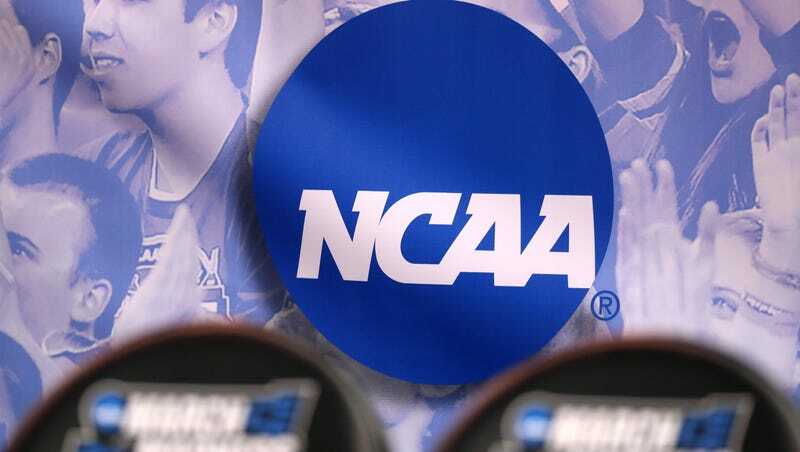 Following four days of deliberation, and the morning after the finale of its most lucrative event of the year, the NCAA announced Tuesday that its Board of Governors voted to return North Carolina to the list of states to be considered for hosting postseason events. The vote of approval comes thanks to the passing of HB 142, which partially repeals HB2 but ultimately does very little to protect the state’s LGBT citizens from continued discrimination. In their press release, the NCAA used similar defeated language as that of North Carolina lawmakers, writing that the bill is “far from perfect.” College sports’s ruling body even specifically referenced the three-year moratorium HB 142 places on the ability of local governments to pass their own anti-discrimination ordinances. As a reminder (because it feels longer than year ago) this all started when the Charlotte council tried a second time to pass an ordinance aimed at protecting their LGBT community—gay and transgender men and women can currently be fired in North Carolina on the basis of being gay or transgender under state law. In an attempt to circumvent the state’s faux-religious liberty claims, Charlotte’s city council drafted their own ordinance. It failed on the first vote 6-5 in 2015; it was voted on again in February 2016 and passed. By then, though, conservative members and groups, such as Values Coalition, had latched onto the bathroom section, which was actually removed from the bill during the first vote to garner the necessary votes. It appeared the second time, and just a couple months later the state passed HB2 as a middle finger to its two largest liberal hubs, Charlotte and the Triangle—Raleigh, Durham, Chapel Hill—and any other cities looking to protect their citizens without going through the state. The NCAA board of governors wrote that they are “concerned” by the HB 142 stipulation that leaves all discriminatory policies to the General Assembly, where Republicans currently hold a supermajority. Tellingly, they followed their worried thoughts regarding the state’s gay and transgender community by pointing out that the citizens of North Carolina had a knack for hosting “quality championships” prior to HB2, adding that HB 142 puts North Carolina in line with other states hosting NCAA championships, which is true—the 2016 Final Four was in Houston (largest city without LGBT protections); Dallas will host the NCAA tournament in 2018 (Texas is passing its own HB2, called SB6); and Frisco will host the FCS football title game in 2018 (SB6). The North Carolina NAACP, Freedom Center for Social Justice, ACLU, Human Rights Campaign, and the National Center for Transgender Equality all called on the NCAA to reject North Carolina’s repeal on the basis that it did nothing to prove the state would be more willing to listen to LGBT concerns—according to multiple members of the General Assembly, no LGBT members were contacted or consulted to help draft HB 142. The bill was gutted and filled with its current content overnight before being put on a fast-track voting schedule once lawmakers realized the NCAA deadline was upon them. Numerous members on both aisles of the General Assembly chided their fellow legislators during a debate on the House floor for adhering to the NCAA’s timeline and not allowing more time for deliberation before voting. The announcement from the NCAA comes four days after the ACC announced that it too will accept HB 142 and return its championships to the state—the ACC men’s and women’s basketball tournaments were played in Brooklyn this year; the football championship was held in Florida.